It was several payments that equaled $129,999.72, but here you go. $129,999.72 is not equal to $130,000.00. This suggests that Cohen fronted $0.28. And what's the bet Trump STILL hasn't paid him back? Yeah, didn't Cohen complain to his buddies that he never was paid back? If so, that $129,999.72 might not have gone to him. I can't find the post where the deposits made into the LLC equaled the 130k payment. Can someone help me find it. I searched to no avail. Or did I just imagine that? But he had some spare change available : Hannity said he might have “handed him 10 bucks” for advice but none of those discussions “ever, ever involved a matter between me and a third party”. In the outdoor photo after the hearing it was lavender. In the courthouse it was pink. Stormy's own special indoor/outdoor fabric. Stormy and the Chin™ will be on The View tomorrow, 11 a.m. Eastern Time. Could be worse. At first I thought she was mimicking an infamous scene from Basic Instincts. Talk about ! Any Suspicious Activity Report (SAR) is going to be both highly confidential AND unlikely to have been raised in this case. Criminal violations involving insider abuse in any amount. Criminal violations aggregating $5,000 or more when a suspect can be identified. Criminal violations aggregating $25,000 or more regardless of a potential suspect. Has no business or apparent lawful purpose or is not the type of transaction that the particular customer would normally be expected to engage in, and the bank knows of no reasonable explanation for the transaction after examining the available facts, including the background and possible purpose of the transaction. Alas, an apparent reimbursement of funds for apparently legitimate expenditure by an allegedly legitimate political organisation is unlikely to trigger SAR reporting. Apparently there is a SAR report, at least according to Avenatti and the WSJ, unless I'm completely misreading your post. We discussed this a few days ago. There’s an SAR. Avenatti wants it, and filed a FOIA request. It’ll be denied. There will be public gnashing of teeth. He might take the Office of the Commissioner of the Curremcy to court, where he’ll lose. I think the agency which received the SAR (to which any FOIA should be directed) is the Financial Crimes Enforcement Network (FinCEN) rather than the Office of the Comptroller of the Currency (OCC). I agree that it will not be released, and any judicial action under FOIA will be borderline frivolous because of FOIA exemption (b)(7), which shields agencies from having to turn over law enforcement related materials. Lordy, Is There a Tape? "While in Moscow for the Miss Universe pageant in 2013, Trump reserved the Ritz-Carlton’s presidential suite, where Barack and Michelle Obama had stayed previously. Citing multiple anonymous sources, Steele reported that Trump had prostitutes defile the bed where the Obamas slept by urinating on it, and that the Kremlin had recordings." Inquiring minds wonder......was said SAR raised at the time or some time post activity.....? The actual payments are (superficially) normal business process for payments for goods and services. Now, in the day, one spent rather more time than one wanted with KYC/AML systems, one that still gives me the night shudders being Actimize only beaten by Fiserv's nasty AML Manager. As such, I can speak with a degree of familiarity around the process and technology. Whilsts there is much sales blather around "advanced heuristics", "intelligent machine learning" and "holistic deviance monitoring" (I jest not, actual sales spiel) the systems are basically mildly complicated inquiry and alerting rules engines not greatly removed from basic logic gates. As such, I find it.....interesting.... and a touch unusual that an SAR alert could or would have been generated at all AND a SAR itself raised in isolation, based on the noted information, absent some driver such as a 314(a). You’re right. I don’t know why I said that. The SAR was for Cohen's payment to EC. Which, unlike the campaign's disbursements, was not a normal payment for goods and services. As Dan mentioned, Stormy and Michael have arrived at the ABC studio for her appearance on The View (11am EDT in most markets on ABC affiliates). 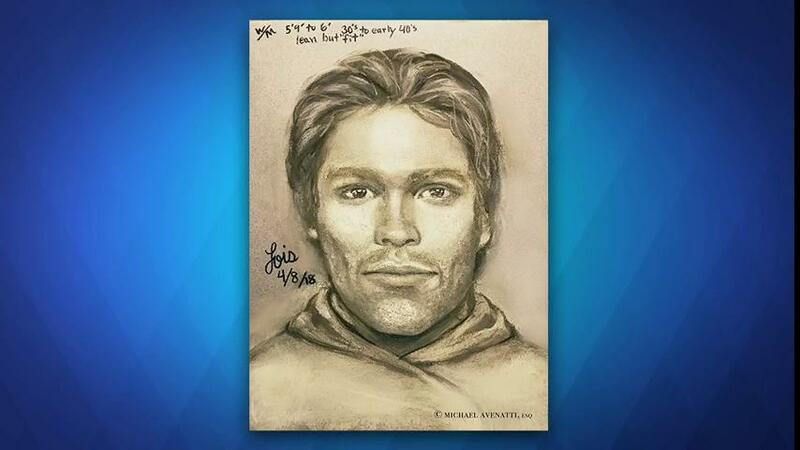 They are going to reveal the artist sketch of the guy who threatened her in the parking lot in 2011. This jogs a memory loose. Didn’t Trump appoint someone with Russian criminal connection to FinCEN last year? Or was that another oversight agency?